We can assist with all of your purchasing needs as a result of our Partner statuses with major manufacturers and the accounts we hold with distributors. SBS IT can advise on product specification as well as sourcing and delivering products at competitive pricing. We can supply not only physical products but also software pricing, for example Office 365 subscription pricing at below Microsoft direct pricing and without the annual commitment. 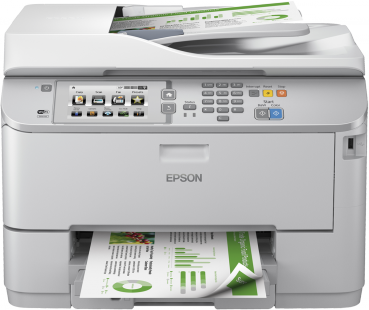 With features designed for easy business integration, the 4-in-1 multifunction WF-5690DWF also benefits from low running costs, low power consumption and fast print speeds. Automatic double-sided printing, scanning, copying and faxing makes any job easy and efficient. Directly print and scan using a USB memory stick, and securely print using a PIN code to release jobs at the printer. The WorkForce Pro WF-5690DWF has an up to 50 percent lower cost per page than competitive colour lasers1 , saving you money as you take advantage of this printer’s high capacity ink cartridges of up to 4,000 pages2. And there are fewer parts to replace than a laser. The WF-5690DWF uses up to 80 percent less power than competitive colour lasers1 thanks, in part, to its no heat technology. No ozone gases are emitted, and an improved quiet print mode and no fan noise during or after printing makes it ideal for the work environment. This efficient multifunction business printer is faster than a laser on typical print jobs1, with print speeds of up to 34ppm in mono and 30ppm in colour, or 20ppm ISO print speed in both3. Its high paper capacity of 580 sheets means less time is spent refilling, and it has a high monthly duty cycle of up to 35,000 pages4. PrecisionCore technology powers the output quality that Epson is known for, at the speeds required for office, commercial and industrial printing. Prints dry fast thanks to the DURABrite Ultra ink. Scan-to functions, LDAP support and PDL emulations help this printer easily integrate into the business environment. Its intuitive large colour touch-screen makes functions readily available, and the rear manual paper tray lets you print on a range of media.